Learn more about the meeting site... Asilomar conference grounds near Monterey. Asilomar's rich history dates back to its origins as a YWCA Leadership Camp built in 1913. Known as Monterey Peninsula's "Refuge by the Sea," the state park is located on 107 acres of state beach and conference grounds, within the quaint and scenic town of Pacific Grove. Asilomar is celebrated for its restored dune ecosystem and architectural significance, with cozy, historic structures designed by renowned architect Julia Morgan between 1913 and 1928. Thirteen of Morgan's original structures remain today and constitute her largest collection of Arts & Crafts style architecture in one location. Thirty years later, John Carl Warnecke (best known for John F. Kennedy's gravesite memorial), created seven more complexes that make up the conference grounds. The conference grounds are located in Pacific Grove, California, on the Monterey Peninsula. There are a number of ways to get to the venue that provide a range of options in terms of convenience and cost. More information and detailed driving directions are also provided by the venue. The closest major international airports are San Francisco and San Jose. San Francisco airport (SFO) is located about 100 miles (160 km) north of Monterey, approximately 2 hours driving time. San Jose airport (SJC) sits between SFO and Monterey, about 75 miles (120 km) or a 1 hour 30 minute drive from the venue. Car rentals from all major agencies are available at the airports, while the Monterey Airbus provides shuttle service directly to Asilomar. A booking tool for the shuttle service makes reservations quick and easy. The local Monterey Regional Airport (MRY) is serviced by regular flights from larger airports in the area. Sometimes the additional cost of flying to Monterey is relatively minimal; however, its location on the Monterey Peninsula means that delays due to fog can occur fairly frequently, especially for late night/early morning flights. Many of the weather-related flight delays into Monterey are due to air traffic control at San Francisco International Airport affecting regional air traffic. Los Angeles International (LAX) is less affected by weather. The Amtrak Coast Starlight provides train service from points north and south, and stops in Salinas (about 20 miles from Monterey). Connecting bus service is available to the Monterey Peninsula. For those wishing to stay in the USA after the workshop, please note that the weekend and week after the workshop are likely to book up early as Independence Day in the USA, a national holiday, is on 4th July. Monterey Salinas Transit accepts cash (US), and also sells passes online (or at pass outlets) that can be purchased using a credit card. Asilomar Conference Center is on Bus Route #1 that connects to the Monterey Bay Aquarium Transit Center. There are also Uber and cabs, and costs are reasonable. The MST Trolley is free, and runs from 10 am to 7 pm daily. It provides access to tourist venues including Monterey Bay Aquarium, Cannery Row, Fisherman's Wharf and historic downtown Monterey. Special transit bus routes include service to Big Sur (three times per day), hourly service to Carmel and Carmel Valley Grapevine Express, express bus service to San Jose (and airplane/rail connections). Connections would be made either in Monterey or Carmel. Additionally, there are bikes for rent from Cannery Row or Fisherman's Wharf. The coastal recreation trail runs from Lovers Point up to Marina. A block booking has been made at the Asilomar conference venue. We encourage participants to book rooms at Asilomar if possible. Costs per day are shown below and include meals (breakfast, lunch and dinner). There is an additional one-off $20 booking fee per reservation. Check-in is from 4 pm with check out by 11 am. Meals include dinner on arrival day, and lunch on departure day. In order to secure the room reservation, please visit the website and complete a room reservation by 26 May, 2016 . After this date, any remaining rooms in our room block will be released. Please note that payment is taken in advance and cannot be refunded for cancellations after this date. We have been assigned a conference meeting room based on the number of on-site attendees. We strongly encourage you to stay on site if at all possible so that we can meet this contractual requirement. Double/Twin room with another conference attendee	 One person starts the booking, adding as much information as needed. If necessary, contact the housing department for help when booking the second person. See reservations website for contact information. Contact Nancy Baker if necessary for help. Room with one other not attending the workshop, and with the other opting to not purchase meals	 Book just for the attendee, but also contact Nancy Baker to let her know your plans. Room with more than one other (e.g. triple, quad)	 Contact the housing department - see reservations website for contact information. For those not staying at Asilomar, there are nearby hotels and cottages, we suggest searching for "lodging near Asilomar State Beach". Those opting to stay off site may be able to purchase Asilomar meal tickets. A $12 facility fee is assessed in addition to the cost of the meal tickets. The currency of the United States is the Dollar (USD=$) [EUR $100 = USD $111 (as of 8 February 2016, http://www.xe.com)]. Major credit cards are accepted almost everywhere. The climate of Monterey is regulated by its proximity to the Pacific Ocean resulting in a cool-summer climate. 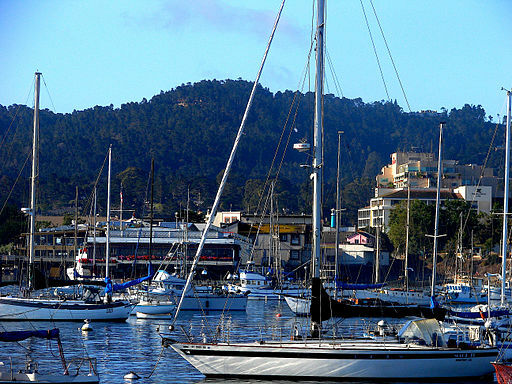 Monterey's average high temperature ranges from around 16°C (61°F) in winter to 22°C (72°F) during the summer months. Average annual precipitation is around 19.5 inches (500 mm), with most rainfall occurring between October and April, with little to no precipitation falling during the summer months. There is an average of 70 days with measurable precipitation annually. Summers (Jun-Aug) in Monterey are more prone to fog. Wireless Internet access is available in the main lobby and at the Phoebe Hearst Social Hall. Complementary WiFi is also available in all guest rooms, and will be available within the main meeting venue. It is traditional as part of the International Winds Workshops to participate in a group activity on the Wednesday afternoon. For IWW13 there will be the option to visit the Monterey Bay Aquarium. It is the premier attraction in the area, and is accessible to all age groups and mobility levels. The cost is $39.95 for entrance. Bus transportation will be provided, but there is an option to walk back for those who want to explore. If you would prefer to make different arrangements for Wednesday afternoon, other options include walking 2-3 blocks to rent kayaks, stand up paddleboards, bikes, inline skates, surreys for the bike trail. Or just choose to walk. Or you can pick up local transit to Monterey Wharf or Carmel wine tasting.